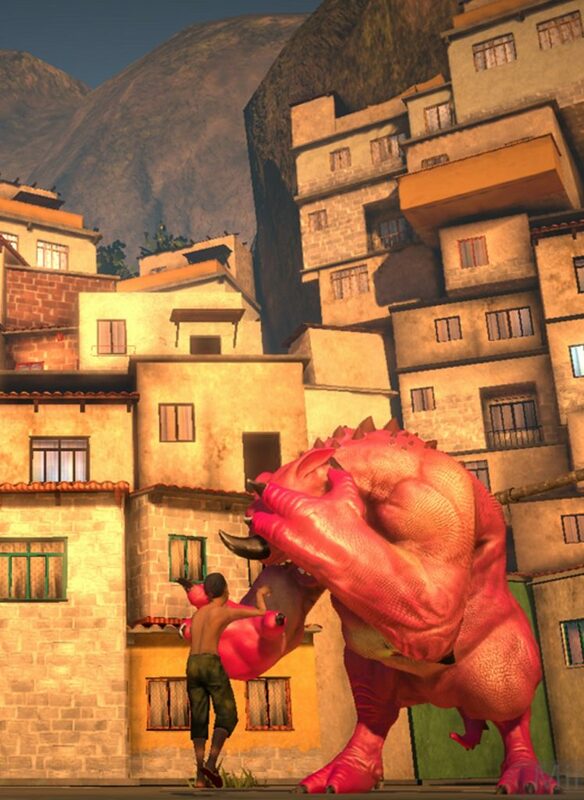 “Papo & Yo” is the story of a young boy, Quico, and his best friend, Monster. Monster is a huge beast with razor-sharp teeth, but that doesn’t scare Quico away from playing with him. That said, Monster does have a very dangerous problem: an addiction to poisonous frogs. The minute he sees one hop by, he’ll scarf it down and fly into a violent, frog-induced rage where no one, including Quico, is safe. And yet, Quico loves his Monster and wants to save him.